The Fall 2017 list of member publications is here! The IAS encourages members to share information regarding their recent publications. To have your publication(s) listed on our website and in the Newsletter, please send relevant information to memberpubs@italianartsociety.org. Updates will be made three times per year, in February, June, and September. BOOK: Giorgio Vasari. The Lives of the Most Eminent Painters, Sculptors, and Architects. Florence: Giunti, 1568. JOURNAL ARTICLE: James Marrow. “Symbol and Meaning in Northern European Art of the Late Middle Ages and the Early Renaissance.” Simiolus 16 (1986): 150-169. 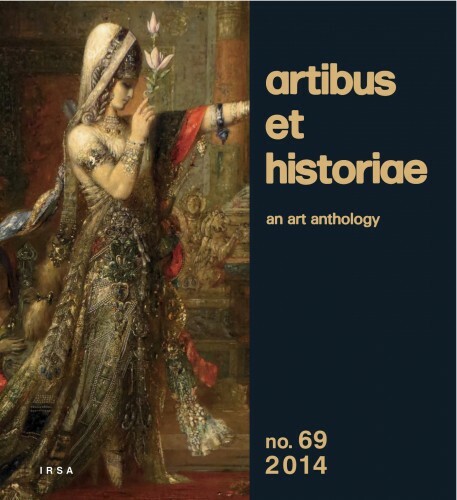 ESSAY IN EXHIBITION CATALOGUE: Maryan W. Ainsworth. “The Business of Art: Patrons, Clients, and Art Markets.” In From Van Eyck to Bruegel: Early Netherlandish Painting in the Metropolitan Museum of Art, edited by Maryan W. Ainsworth and Keith Christiansen, 23-37. Exhibition catalogue: New York, Metropolitan Museum of Art. New York: Metropolitan Museum of Art, 1998. 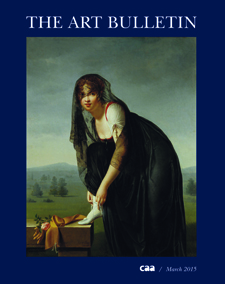 ESSAY IN EDITED VOLUME: Sheryl E. Reiss. “Adrian VI, Clement VII, and Art.” In The Pontificate of Clement VII: History, Politics, Culture, edited by Kenneth Gouwens and Sheryl E. Reiss, 339-362. Aldershot, U.K. and Burlington, Vt.: Ashgate, 2005. Click on the book covers below to view in Amazon. Any purchases made from these related links, no matter the item, will return a percentage of your purchase to the Society at no extra cost to you. More information. Erin E. Benay and Lisa M. Raffanelli. Faith, Gender and the Senses in Italian Renaissance and Baroque Art: Interpreting the Noli me tangere and Doubting Thomas (Farnham, UK: Ashgate, 2015). Lynn Catterson. Finding, Fixing, Faking, Making: Supplying Sculpture in ‘400 Florence (Todi: Ediart, 2014). Annette Condello. The Architecture of Luxury (Farnham, UK: Ashgate, 2014). A. Victor Coonin. From Marble to Flesh. The Biography of Michelangelo’s David (Florence: The Florentine Press, 2014). Liana De Girolami Cheney, ed. Agnolo Bronzino: The Muse of Florence (New Academia Publishing, 2014). Douglas N. Dow. Apostolic Iconography and Florentine Confraternities in the Age of Reform (Farnham, UK: Ashgate, 2014). Adrian R. Duran. Painting, Politics, and the New Front of Cold War Italy (Farnham, UK: Ashgate, 2014). Diana Hiller. Gendered Perceptions of Florentine Last Supper Frescoes, c. 1350 – 1490 (Farnham, UK: Ashgate, 2014). Evelyn Karet. The Antonio II Badile Album of Drawings: The Origins of Collecting Drawings in Early Modern Northern Italy (Farnham, UK: Ashgate, 2014). J. Nicholas Napoli. The Ethics of Ornament in Early Modern Naples: Fashioning the Certosa di San Martino (Farnham, UK: Ashgate, 2015). Lorenzo Pericolo and David M. Stone, eds. Caravaggio: Reflections and Refractions (Farnham, UK: Ashgate, 2014). Mark Rosen. The Mapping of Power in Renaissance Italy: Painted Cartographic Cycles in Social and Intellectual Context (Cambridge: Cambridge University Press, 2015) (Winner Sixteenth Century Society and Conference Founders’ Prize). Nino Zchomelidse. Art, Ritual, and Civic Identity in Medieval Southern Italy (University Park: Penn State University Press, 2014). Click on the book covers below to view in Amazon. Any purchases made from these related links, no matter the item, will return a percentage of your purchase to the Society at no extra cost to you. More information . Journal covers will take you to the related journal’s website. Sharon Hecker. 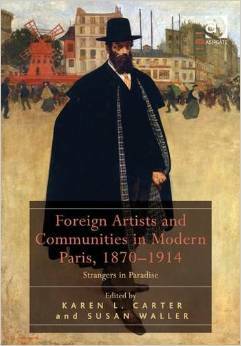 “Everywhere and Nowhere: Medardo Rosso and the Cultural Cosmopolitan in Fin-de-Siècle Paris,” in Foreign Artists and Communities in Modern Paris, 1870-1914 ed Karen L. Carter and Susan Waller (Farnham, UK: Ashgate, 2015), 143-154. Mark Rosen. “Pietro Tacca’s Quattro Mori and the Conditions of Slavery in Early Seicento Tuscany,” The Art Bulletin 97 (2015): 34-57. Charles Burroughs. “Indicating Heaven: Botticelli’s ‘Coronation of the Virgin’ and Mediated Imagery,” Artibus et Historiae, XXXV, no. 69 (2014): 9–34. Jean Cadogan. “An ‘Huomo di Chonto:’ Reconsidering the Social Status of Domenico Ghirlandaio and His Family” Zeitschrift für Kunstgeschichte 77, no. 1 (2014): 27-46. Liana De Girolami Cheney. “Guglielmo Marcilla’s Images of the Virgin Mary: Mystical and Visual Splendor,” Notes on Early Modern Art, 1, no. 1 (March 2014). Liana De Girolami Cheney. “Giorgio Vasari’s Religious Paintings: Mystical and Visual Splendor,” Notes on Early Modern Art, 1, no. 2 (September 2014). Jodi Cranston. “Disegnando se stesso: funzione e contesto dell’Autoritratto a gessetto di Tiziano”/”Disegnando se stesso: The Function and Context of Titian’s Self-Portrait Drawing,” trans. Giovanna De Appolonia, in Tiziano. Un autoritratto. Problemi di autografia tizianesca, ed. Andrea Bellieni.trans. Viviana Tonon (Antiga Edizioni, 2014), 69-83. Martha Dunkelman. “What Michelangelo Learned in Bologna,” Artibus et Historiae, XXXV, no. 69 (2014): 107–36. Martha Dunkelman, “Looking Down on Renaissance Reliefs,” Notes on Early Modern Art, 1, no. 2 (September 2014). Gillian B. Elliott. “Representing Royal Authority at San Michele Maggiore in Pavia,” Zeitschrift fur Kunstgeschichte 77 (2014): 145-174. Luba Freedman. “L’Autoritratto disegnato di Tiziano quale dimostrazione della sua arte”/”Tititian’s Self-Portrait Drawing as Demonstration of His Art,” in Tiziano. Un autoritratto. Problemi di autografia tizianesca, ed. Andrea Bellieni.trans. Viviana Tonon (Antiga Edizioni, 2014), 11-67. Frances Gage, “Caravaggio’s Death of the Virgin, Giulio Mancini, and the Madonna Blasphemed,” in Caravaggio: Reflections and Refractions ed. Lorenzo Pericolo and David M. Stone, (Farnham, UK: Ashgate, 2014). Katherine McHale.“Tiepolo, Inc: Two Madonnas and the Master’s Hand,” Dieciocho 37.1 (Spring 2014): 63-80. Steven F. Ostrow. “Caravaggio’s angels,”in Caravaggio: Reflections and Refractions ed. Lorenzo Pericolo and David M. Stone, (Farnham, UK: Ashgate, 2014). Steven F. Ostrow. “Sculptors’ Signatures in Baroque Rome: Some Preliminary Observations.” Zeitschrift für Kunstgeschichte 77, no. 4 (2014): 517-544. Lorenzo Pericolo and David M. Stone. “The Caravaggio conundrum,” in Caravaggio: Reflections and Refractions ed. Lorenzo Pericolo and David M. Stone, (Farnham, UK: Ashgate, 2014). Lorenzo Pericolo. “Interpreting Caravaggio in the second half of the 20th century: between Galileo and Heidegger, Giordano Bruno and Laplanche,” in Caravaggio: Reflections and Refractions ed. Lorenzo Pericolo and David M. Stone, (Farnham, UK: Ashgate, 2014). Anna K. Tuck-Scala. “Un Dipinto di Andrea Vaccaro (e Massimo Stanzione?) ad Aversa,” Quaderni dell’Archivio Storico Istituto Banco di Napoli Fondazione, Napoli (2011-2013 ): 307-315.